Whether or not you write it down, you probably have some sort of a birth plan or general idea of how you hope your birth will go. …and you’ve probably also realized from talking with friends and coworkers, reading things online, and hearing birth stories of others that you can’t always count on those plans and preferences coming to fruition. Birth can be unpredictable, and while it’s important to learn about the process and think through your preferences for different scenarios outside of your ideal, it’s also important to be able to adjust in the moment. There’s nothing inherently wrong with this tool, especially when used in the context of a trusting relationship and honest dialogue with your care team, but it can feel cumbersome and overwhelming in the moment. What happens when your plans need to change? Maybe you were dreaming of waking up in labor close to your due date, sitting on the ball at home and relaxing through early labor, heading to the hospital when things got more intense, and having a smooth delivery…but instead you find yourself wanting or needing to have an induction. Or maybe you were hoping to skip the epidural, but labor takes much longer and you’re much more tired than you anticipated. Throughout pregnancy, you trust your doctor to help keep you and your baby safe. During labor, you may find yourself in a position where your care teams suggests an intervention or change in position because they want to ensure your baby’s safety. There is often more than one safe choice and your care team will help you continue with whatever you choose. In the hospital, your doctor and nurses will monitor you and watch out for any complications that may occur during your labor. Once your care team has determined that what you’d like to do is safe, they are also making sure that everyone is healthy. If you and your baby aren’t showing any signs of infection or distress, there is often more than one safe, healthy choice and your care team will help you with whatever you choose. But everyone’s safe and healthy, and I still feel conflicted about my options. How do I know that I’m doing the right thing?! 3. Does this make sense for me, for the labor I’m having right now? Sometimes, staying on your current path is safe, healthy, AND makes sense. 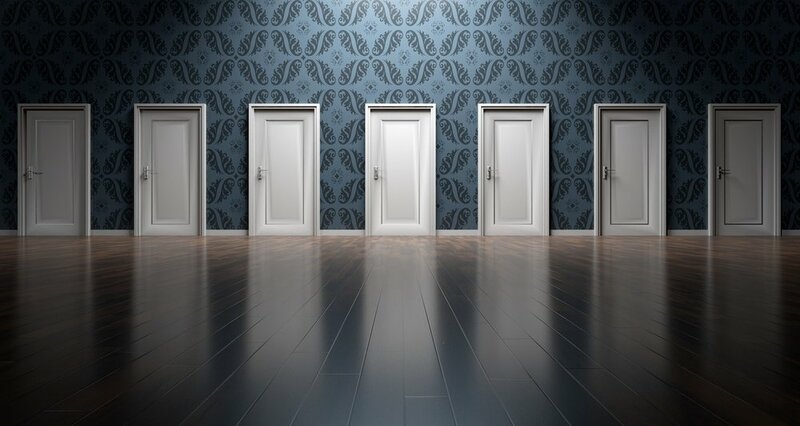 There are also times where a particular choice made sense during one part of your labor, but your circumstances have changed and a different option (perhaps one you originally thought you’d never choose) winds up making the most sense and preserves the most of your ideals and preferences. Cultivating flexibility in your decision making can help bridge the gap between expectations and current reality. It can be hard to shift expectations, particularly if your current situation is far from anything you planned or envisioned. You can cultivate flexibility during pregnancy by talking through your preferences for scenarios outside of your ideal. For example, if you’re planning for an unmedicated birth, it’s also a good idea to talk through your options during an induction, or what your choices are in the event of a cesarean delivery. Your doctor and the rest of your medical team wants you to have a safe, healthy delivery and a positive birth experience. Making sure your doctor is on board with your preferences and asking questions prenatally about their practice style and policies can help eliminate conflict or confusion during your labor and delivery. If your plans need to change, know that your medical team will do what they can to keep you safe and help you achieve an outcome that is as close to your original plan as possible. At the end of the day, keeping lines of communication open and remaining flexible will help you with confident, logical decision-making.